Oktoberfest is right around the corner and if you’re like me, traveling to Germany is a bit out of reach this year. That’s why I’m taking full advantage of all the specialty Oktoberfest menu items that have been popping up in restaurants all around town. Today, the nice folks at Hard Rock Cafe in Victory Park invited me over to check out their Oktoberfest menu and let me just say, you might want to cancel any and all plans that you had for tonight so you can have the mindblowing experience that I just had. I’m really happy that Hard Rock Cafe kept it nice and simple. That tells me that everything on the Oktoberfest menu was well thought out and should be executed perfectly…boy, was it! 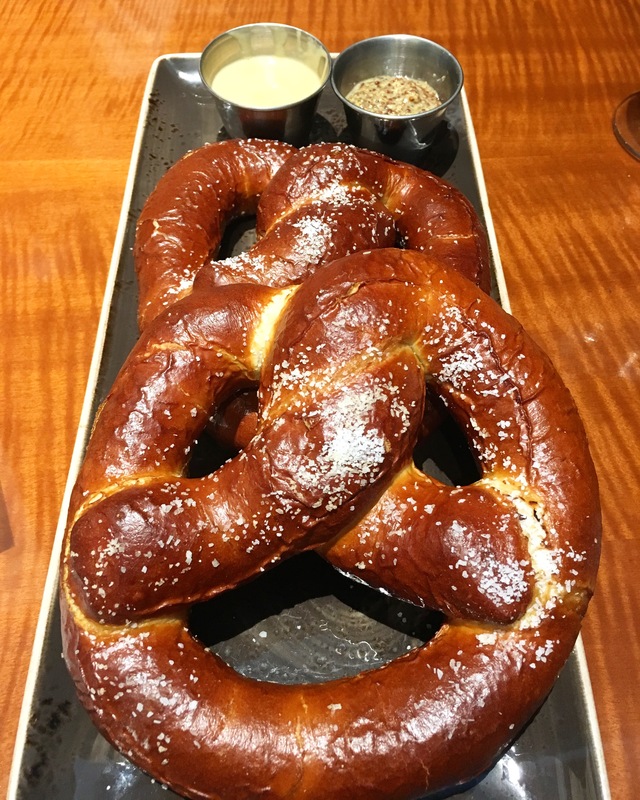 These gorgeous things are the Baked Soft Pretzels that are served with sides of Samuel Adams OctoberFest-infused Beer Cheese Sauce and Whole Grain Mustard. They’re perfect. A nice and crisp outside and the most tender, doughy center – these can’t be missed! 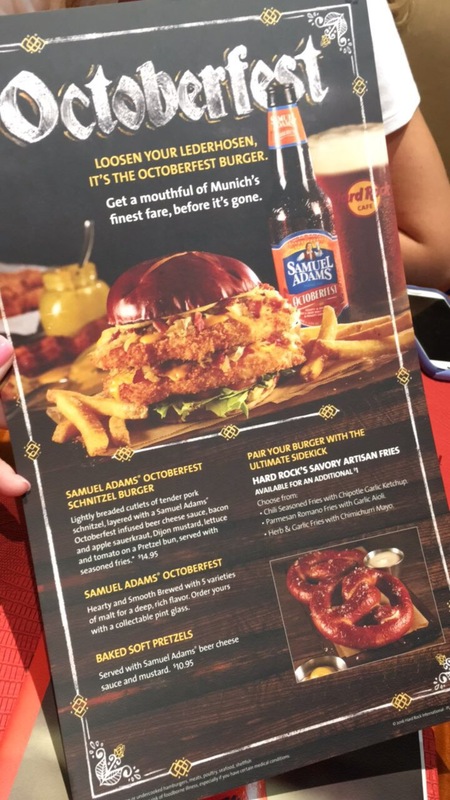 Next up was the Samuel Adams OctoberFest Schnitzel Burger. 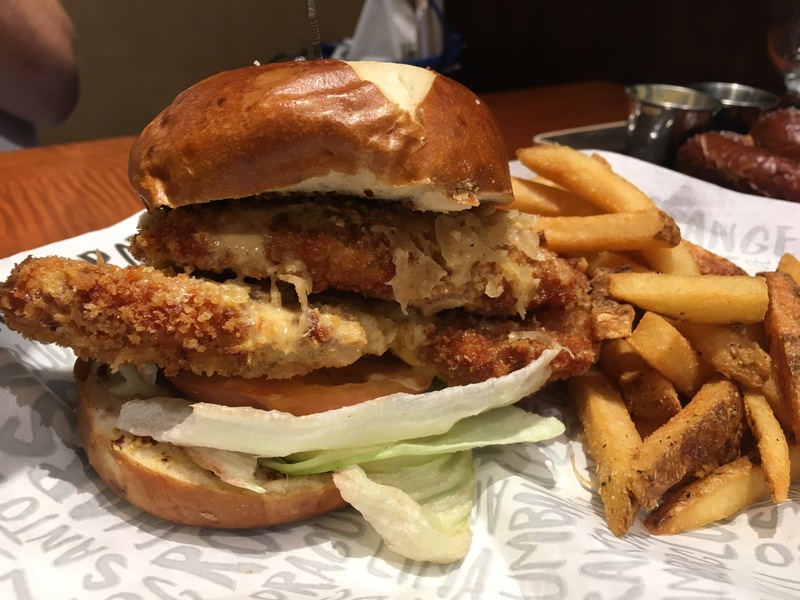 Described as “lightly breaded cutlets of tender pork schnitzel, layered with a Samuel Adams OctoberFest-infused beer cheese sauce, bacon and apple sauerkraut, Dijon mustard, lettuce and tomato, served on a pretzel bun” there is no way on Earth you could go wrong by ordering this limited time burger! My friend who met me for lunch claimed she wasn’t even hungry before this came out, yet somehow managed to inhale the entire thing because it was so delicious. Coincidence? I think not! This special Oktoberfest menu is ONLY available at Hard Rock Cafe until October 2nd and trust me, you’re going to miss it when it’s gone so be sure to come on in and treat yourself to some seriously delicious food before it’s too late!